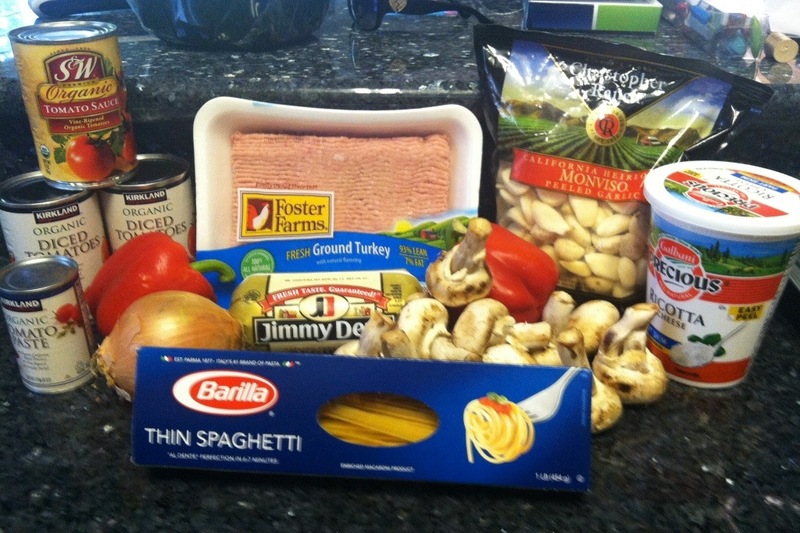 Spaghetti can be a fabulous and frugal meal. 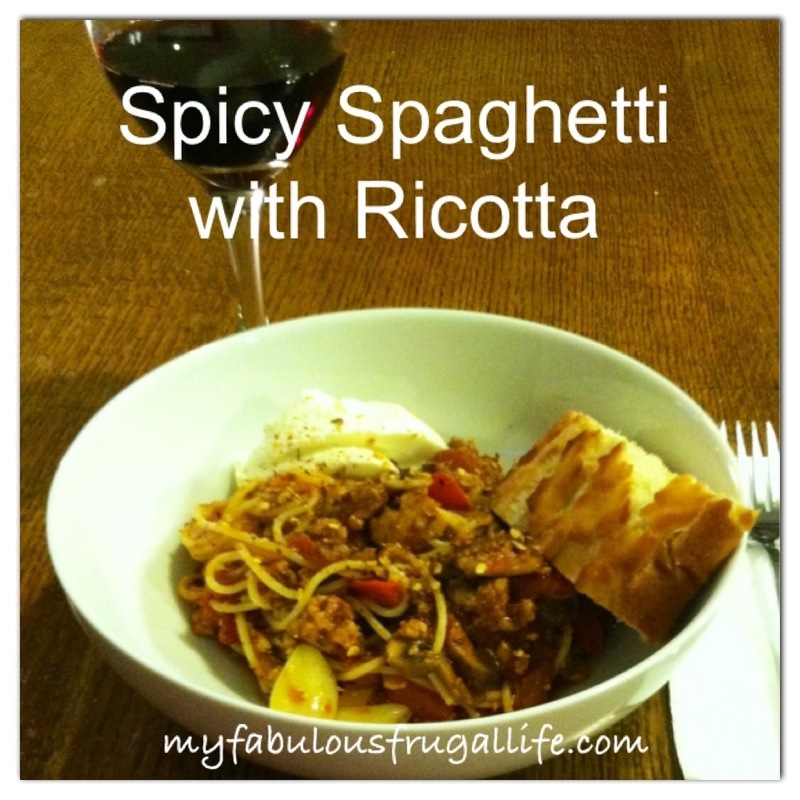 This spicy spaghetti with ricotta recipe is absolutely delicious and very easy to make. 1. 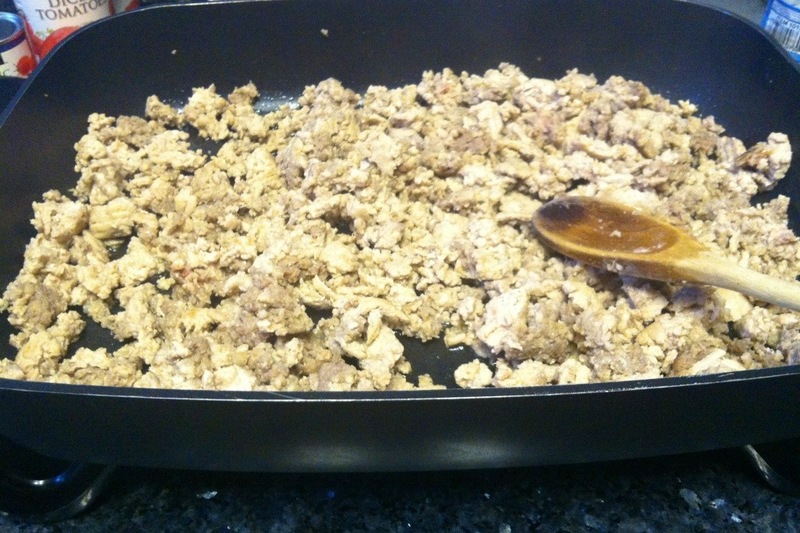 Brown turkey and sausage in an electric skillet or in large saute pan on stove. 2. 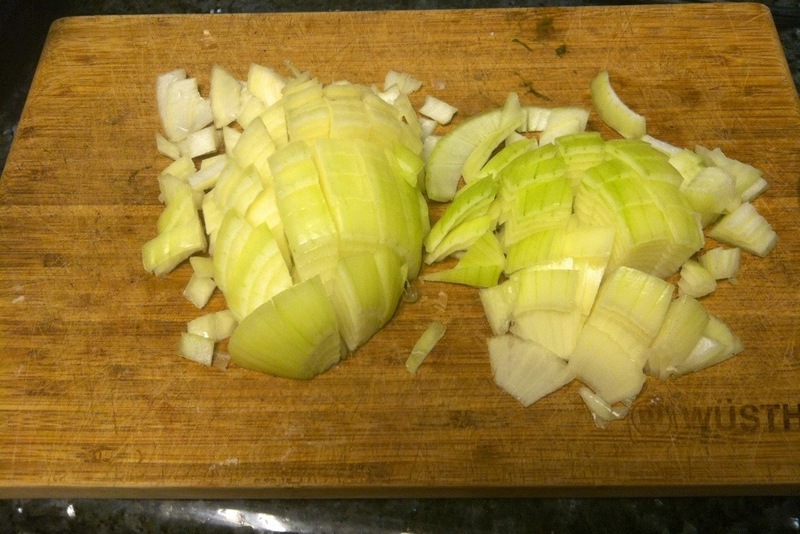 While meat is cooking, start chopping the vegetables. 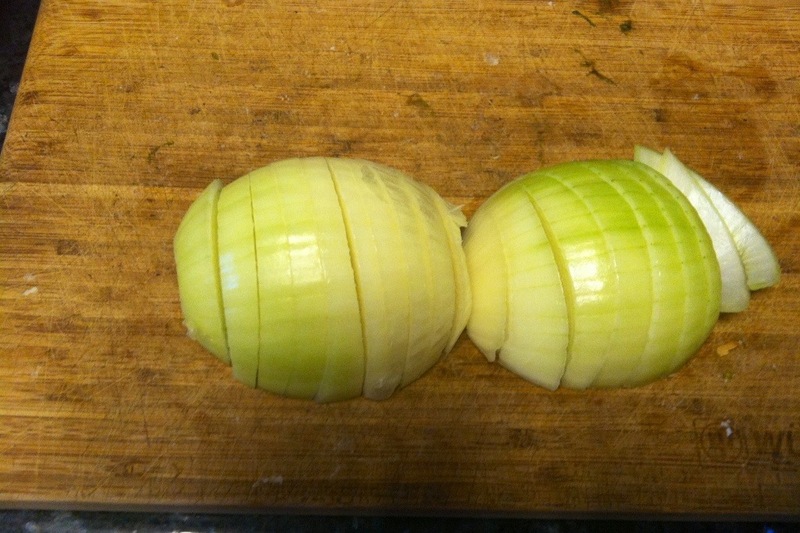 First, slice the onion in half lengthwise and remove skin. Next, slice each half into quarter inch slices. 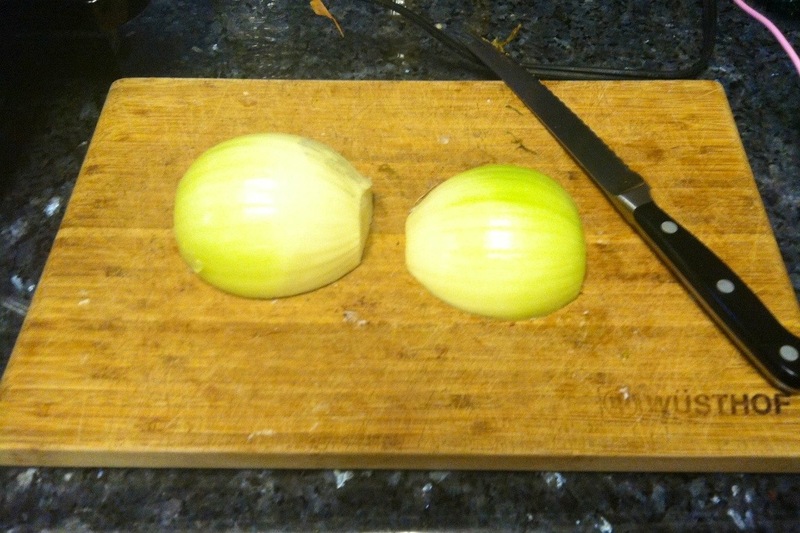 Finally, slice onions in opposite direction. 3. 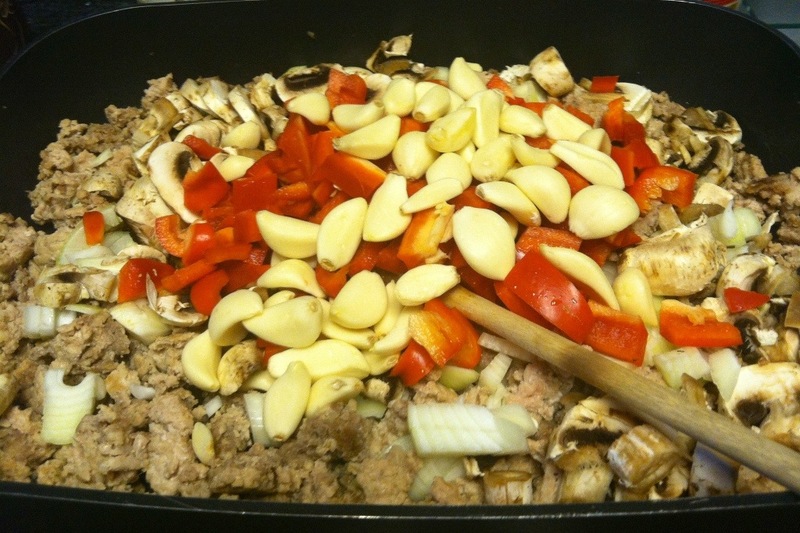 Add all vegetables and garlic to browned meat. 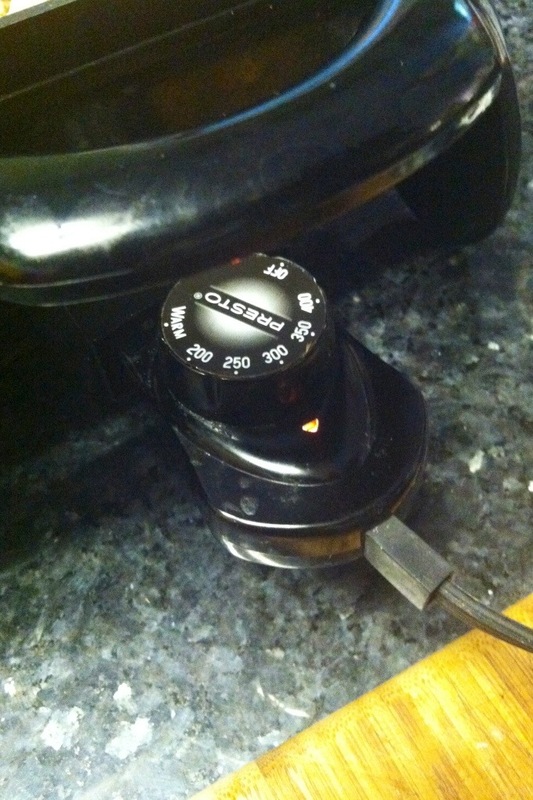 I like to cook with an electric skillet because I don’t have to stand over the stove and I can still control the temperature. 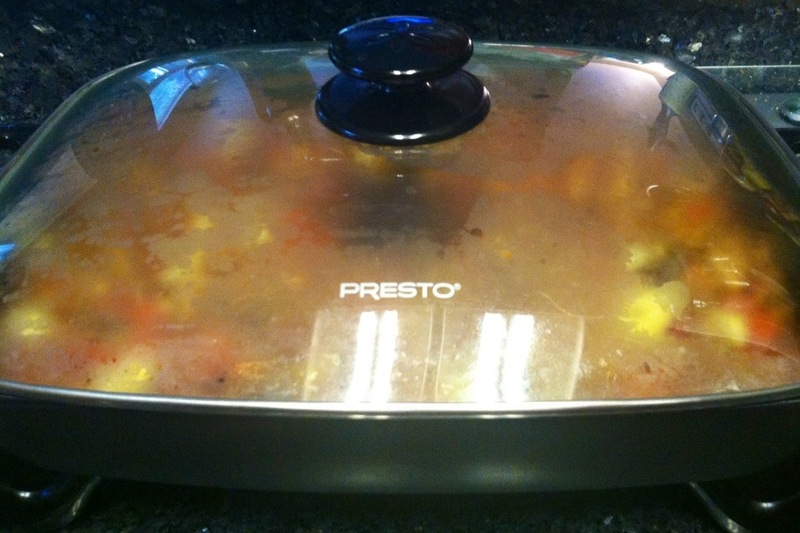 Cook the vegetables for about 10 minutes at 300 degrees, stirring often. 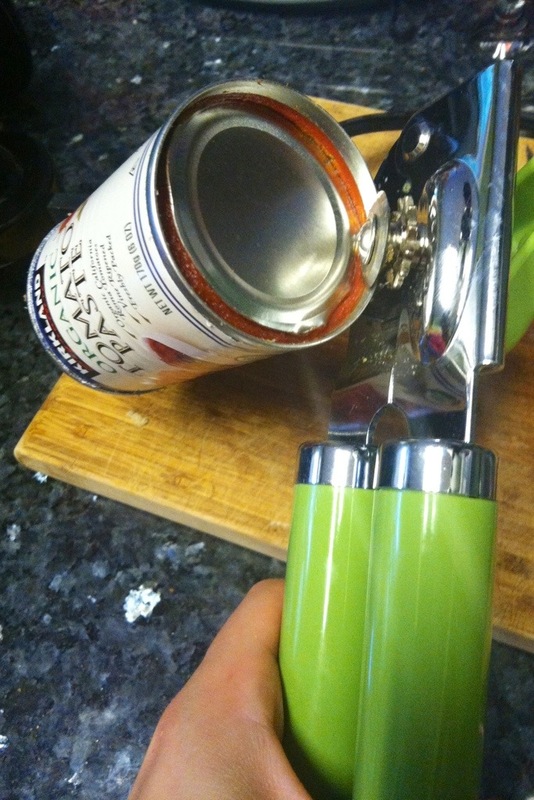 Open can using a can opener. 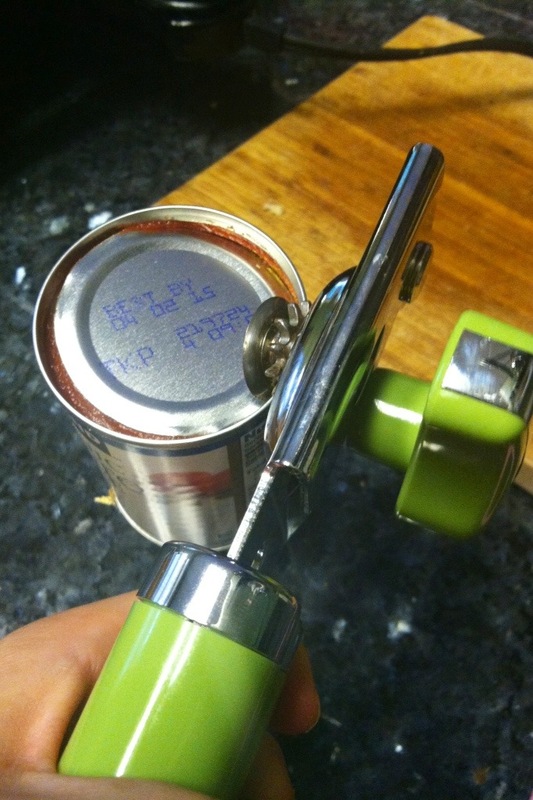 Turn can upside down and open the “bottom” of the can. Push the paste through the can, using one of the lids. Be careful not to cut yourself on the sharp edges. 4. 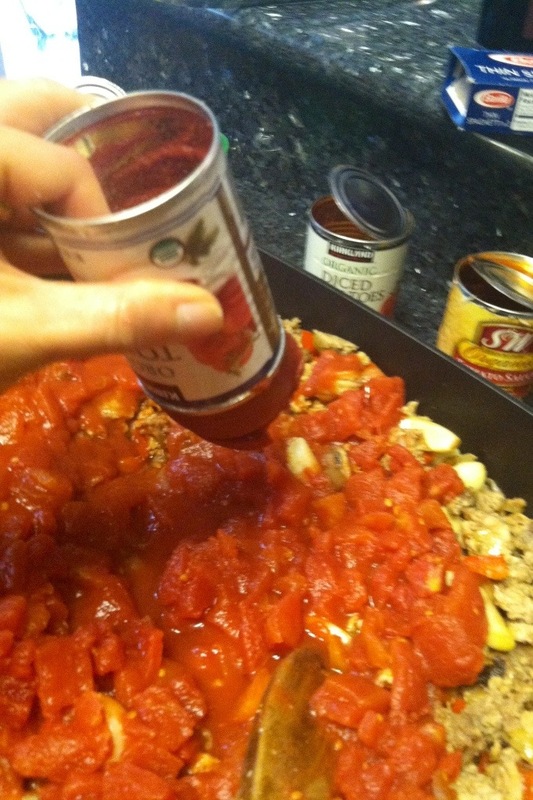 Add all of the canned tomatoes to the meat and vegetables. 5. Add 1 tsp of basil, oregano, and black pepper. Add red pepper flakes – as much as you like. 6. 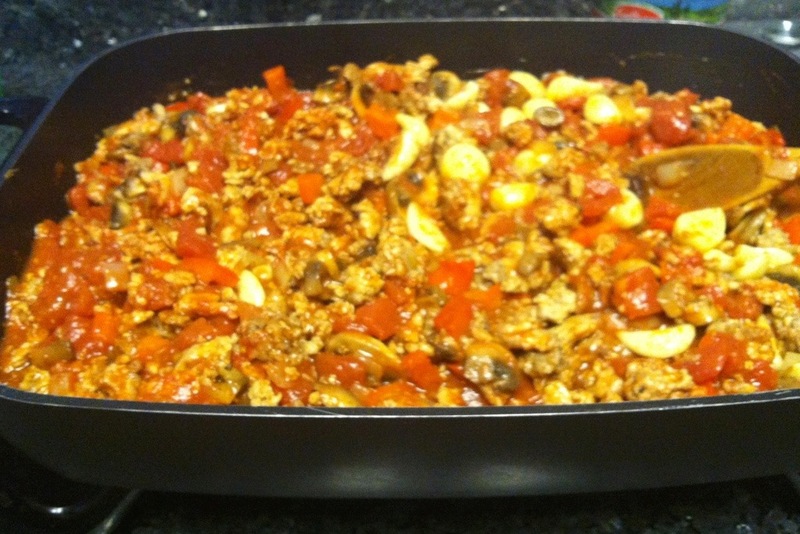 Cover and cook on low/simmer for 1 hour or longer, stirring occasionally. 7. 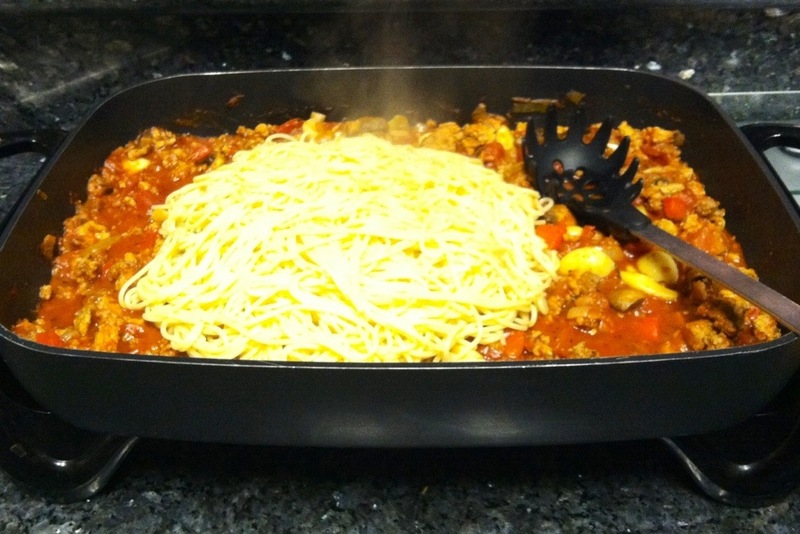 Add cooked spaghetti to sauce and stir well. I add a dollop of ricotta cheese to each individual serving. I usually make a green salad and have broccoli and/or garlic bread with this meal. This looks so yummy. I’m gonna have to try it out tonight or tomorrow. Thanks MFFL! !